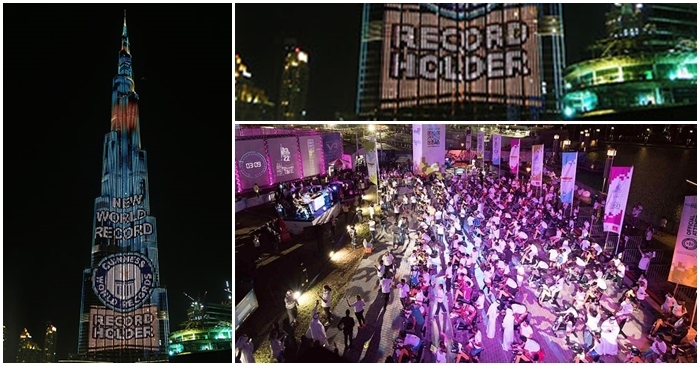 The Guinness World Records 2018 edition has just been released, and it includes new records made in the UAE. That’s right! The emirates has achieved not just one, or two, but 24 world records in the past year — bringing the total number of UAE’s records to 190! The UAE has the world’s tallest building, the biggest dancing fountain, and more recently, the longest line of photographs. When it comes to having the tallest, biggest, and all other “ests” — there seems to be no limit to what the people in the UAE can do! When it comes to record-breaking feats, the Guinness World Records holds the foremost authority. This year’s publication is their 63rd edition — the latest in a series of annuals that showcase the most extraordinary achievements from around the world. Several artists came together to create an artwork using the world’s largest stencil, which measures 119.8 square feet (or 11.13 square meters). It took them three whole days to make the artwork showing Batman, Spider-man, Superman, and other heroes against the Dubai skyline. 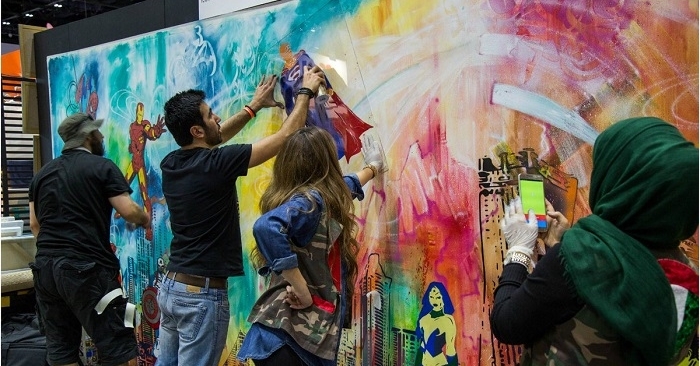 They unveiled the artwork during the Middle East Film and Comic Con in Dubai. This Dubai Miracle Garden world record was certainly a hit when it came out. 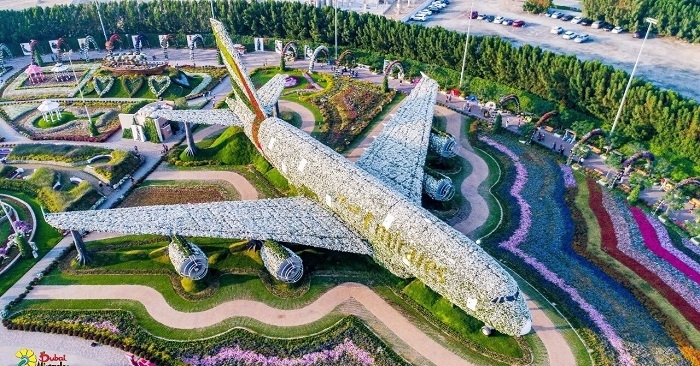 Five million flowers were used to form the shape of an Emirates Airbus A380. Measuring 239 x 257 x 72 feet (or 72.95 x 78.34 x 21.98 meters), visitors can view it from a special platform in the middle of the garden. When all five million flowers are in full bloom, it is believed that the entire structure would weigh more than 220,462 pounds (or 100 tonnes)! With a height of 42 feet 11 inches (13.09 meters) and width of 16 feet 4.85 inches (5 meters), the largest standing lantern in the world can be found at Souq Al Jubail in Sharjah. The gigantic lantern was made especially for the Souq’s Ramadan Festival. These days, the lantern is on permanent display at the Jubail fresh food market in Sharjah. Aside from being a mouthful, this world record is the most “electric” one yet! During the UAE Innovation Week Celebrations held in Burj Park Dubai, witnesses saw 300 people pedalling on static bikes. After one hour, they were able to produce a whopping 8,999 watt hours of energy! The world record was displayed live on the world’s tallest building, Burj Khalifa. The Burj Khalifa (left) lights up to show the world record made by 300 cyclists (right). Come to think of it, the words “UAE” and “world records” often seem to go together, as the country continues to accomplish amazing and extraordinary feats. Indeed, there’s no telling what new record will be made next in these 7 emirates of the UAE!